The Co. 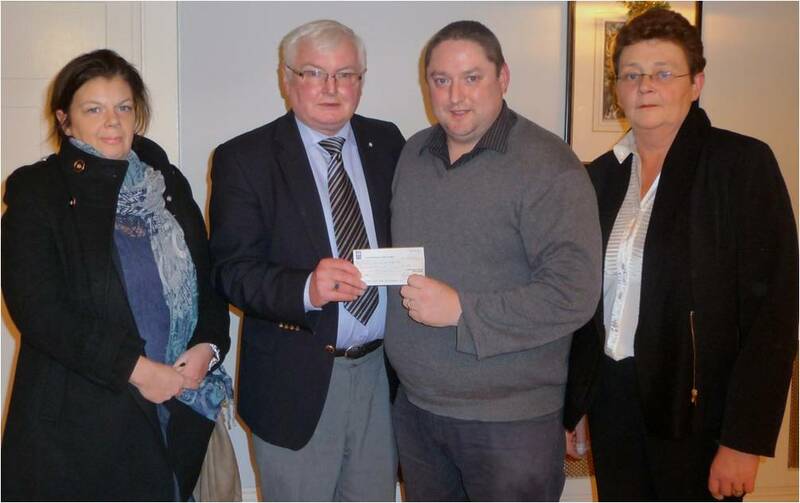 Limerick Branch of TUI has very generously contributed €600 to the Clare, Limerick and Tipperary Branch of the TUI RMA. The cheque was presented by the Chair of the Co. Limerick TUI Branch, Mr. Michael Hennessy, to the Chair of the Clare, Limerick & Tipperary Branch of the TUI. RMA, Tim O’Meara, at their branch meeting held in the Dunraven Arms Hotel, Adare on 10/12/2013. The Clare, Limerick & Tipperary Branch of the TUI RMA would like to thank the Co. Limerick Branch of TUI for their very generous contribution. It is much appreciated by the retired members of TUI.